Boeing has announced that is has successfully achieved qualifications from several international regulatory bodies for its 787 training network. The company has so far received over 20 separate qualifications worldwide, including approval from the US Federal Aviation Administration, UK Civil Aviation Authority, Japanese Civil Aviation Bureau and the Civil Aviation Administration of China. 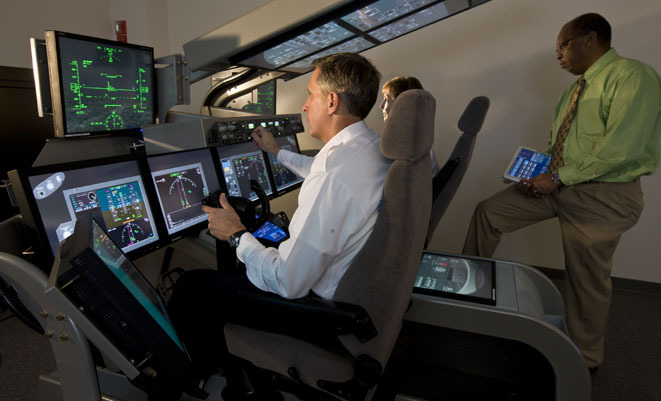 Those qualifications will enable training provider Boeing Flight Services to establish a common 787 curriculum at its network of training centres in Seattle, Singapore, Tokyo, London Gatwick and Shanghai, where it will operate full-flight simulators and various other flight training devices to train pilots 787 operators.